Right, I may twiddle and tweak a bit, but I am calling this one done. I’ve done various configurations, but (at least so far), I am only doing one fully textured version. And that’s the Mars Pathfinder version above! The others use generic textures, rather than depict one specific mission. 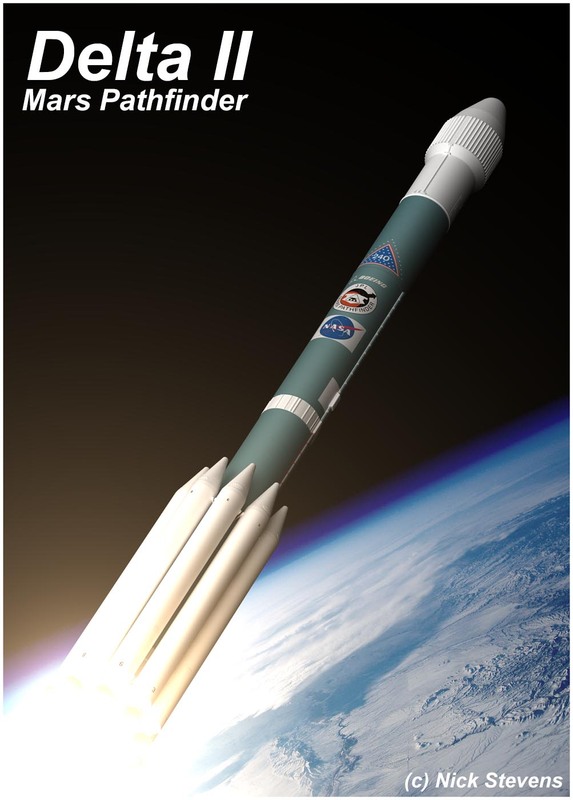 Author adminPosted on November 25, 2016 Categories Lightwave 3d, Real SpacecraftTags delta, launcher, rockets, unmannedLeave a comment on Delta II rocket complete!